Patricia Churchland, Emerita Professor of Philosophy at UCSD and Canadian farm girl at heart, has something to say—all of it interesting and much of it provocative. Provocative of thought, that is. It is refreshing to read serious intellectual material that is free of clotted, academic jargon. Illustrative examples from Dr. Churchland’s farm village life are charming, incisive, and persuasive. Once at a conference a prominent philosopher rose and shouted, “I hate the brain! I hate the brain!” By which he meant that deep philosophical questions such as consciousness, free will, morality, and other eternal verities should not be “reduced to cells and chemical reactions.” Apparently some philosophers “are exasperated by” advances in neuroscience that encroach on territory they believe is solely theirs. Pat Churchland does not hate the brain. As a junior philosophy professor, the eventual MacArthur Fellow actually branched out for a few years to train herself in brain dissection and neuroscience. She is a founder of the field called neurophilosophy. The world is a better place for Dr. Churchland’s efforts and her curiosity. Dr. Churchland reminds us that the brain is not just a physical entity. 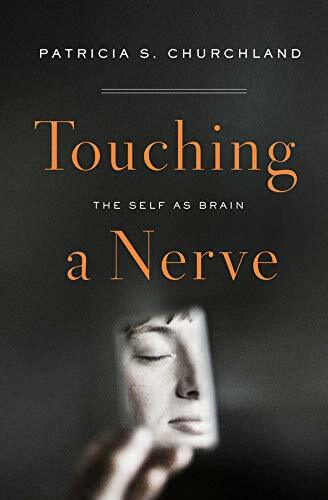 She poses philosophy’s big questions from a neuroscience perspective, no easy task when we tend to think of our brain as a that, an object containing neurons, whereas we think of “me” as myself, a person having desires and memories. And yet human brains have been shaped by evolution occurring over hundreds of millions of years. A cubic millimeter of cortical tissue contains tens of thousands of neurons, a billion synaptic connections, “and about four kilometers of wiring” (the average brain is about 12,000 cubic millimeters). There is much that brain science does not know. But it is mistaken to assume just because something is unknown “that it is unknowable.” That may be the thinking behind brain-haters. Rather than focus on the hardwiring of axons and synapses, the author goes into a difficult area of how small molecules and hormones physically affect brain structure as well as its function. Surprisingly, for instance, female hormones play a big role in masculinizing the brain. “Biology is funny that way.” It is—a fundamental characteristic of science that makes it such fun and an inexhaustible source of wonder is that it is often counterintuitive. If hormones and neurotransmitters pull us hither and thither then self-control must be an illusion, right? Dr. Churchland takes on the debate about free will and concludes that self-control “is not illusory.” The physical and the mental interact. But she puts her foot down at “neurojunk,” which makes big claims based on thin evidence. One hears these overblown results in educational fads, from motivational gurus, and during late night commercials. Some conventional research could be more rigorous, too; real social interactions, she says, are nothing like the artificial games acted out in the laboratory. Plato had a mystical bent. Around 400 BCE he assumed we had a soul that predates our physical existence and lives on after it. Aristotle later thought about it in a medical framework and concluded that emotional states were actually states of the body. Both illustrate progress in accepting that reality does not conform to what we want it to be. Farm life evidently taught the young Dr. Churchland some truths about the harshness of life, leaving her unsentimental on the question of souls. When we accept that everything we think and feel arises not from a mysterious, disembodied force but from electrochemical activity in our brain we are freed from superstition, seeing ourselves realistically as a product of evolved physical mechanisms, past experiences, and social conditioning. As for religion, Dr. Churchland reminds us that Homo sapiens have been on the planet for about 250,000 years. Organized religion took hold about 10,000 years ago—comparatively very recently in our history. That is, for 240,000 years our social and moral lives were conducted without belief in lawgiving deities and an organized priestly caste. Which is exactly the pragmatism one would expect from a girl who grew up on a farm.